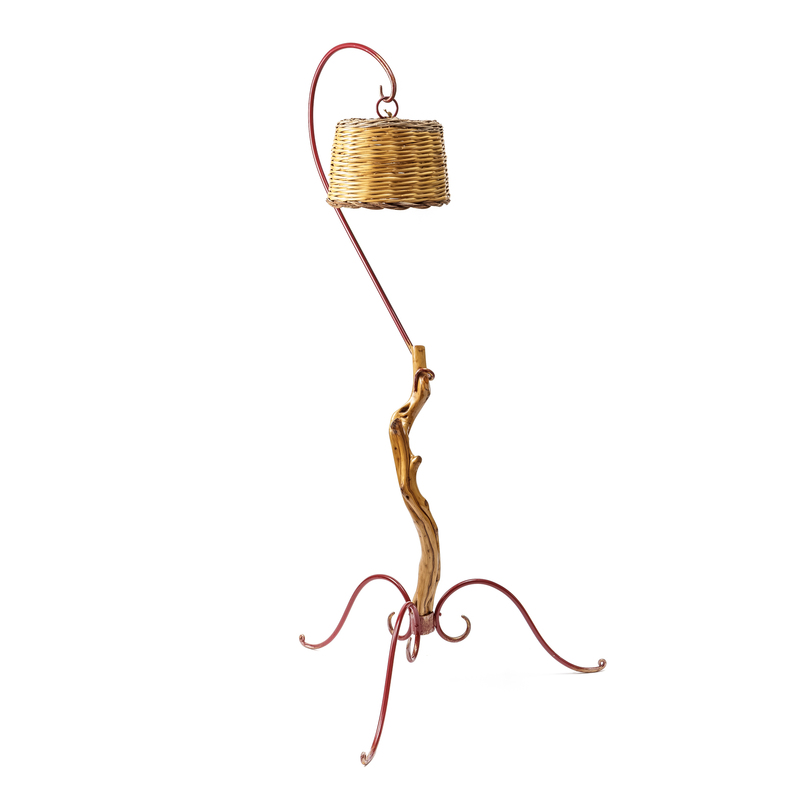 Elements evoke the island landscapes and the local traditions characterizing the original floor lamp, where the wrought-iron structure intertwines and combines with the basket and the olive branch with natural harmony. 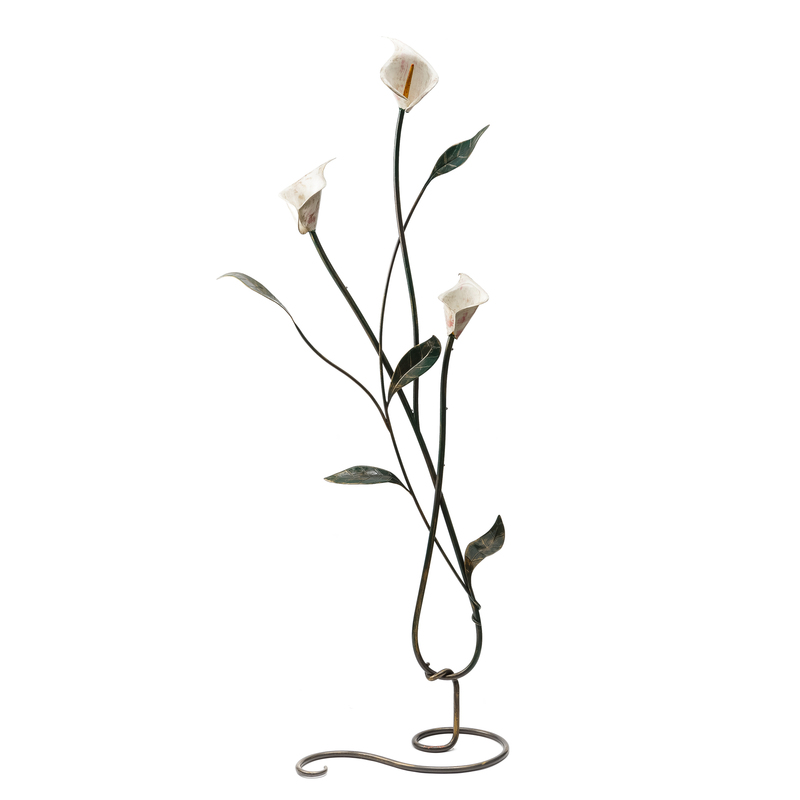 An intertwining of three calla stems sinuously climbs the elegant floor lamp in which the craftsman reinterprets with great technical skill, the naturalistic rendering of the floral design. Handcrafted in painted wrought iron, it can be customized in size and decoration. 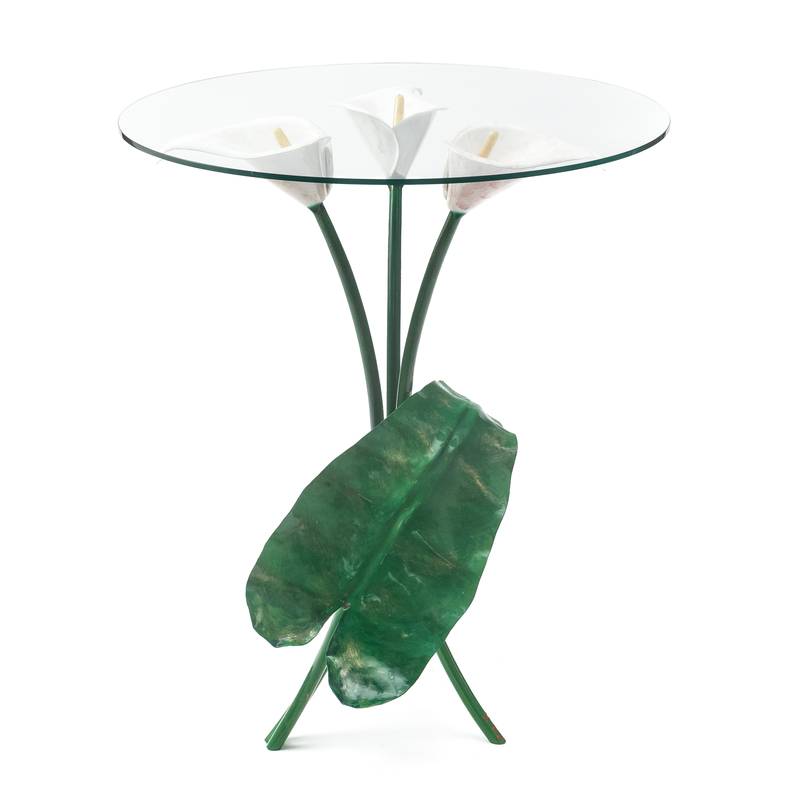 Three callas on a stick hold up the crystal round top in the small and precious little table where the artisan reinterprets, with technical skill, the naturalistic rendering of floral details. Handcrafted in painted wrought iron, it can be customized in size and decoration. 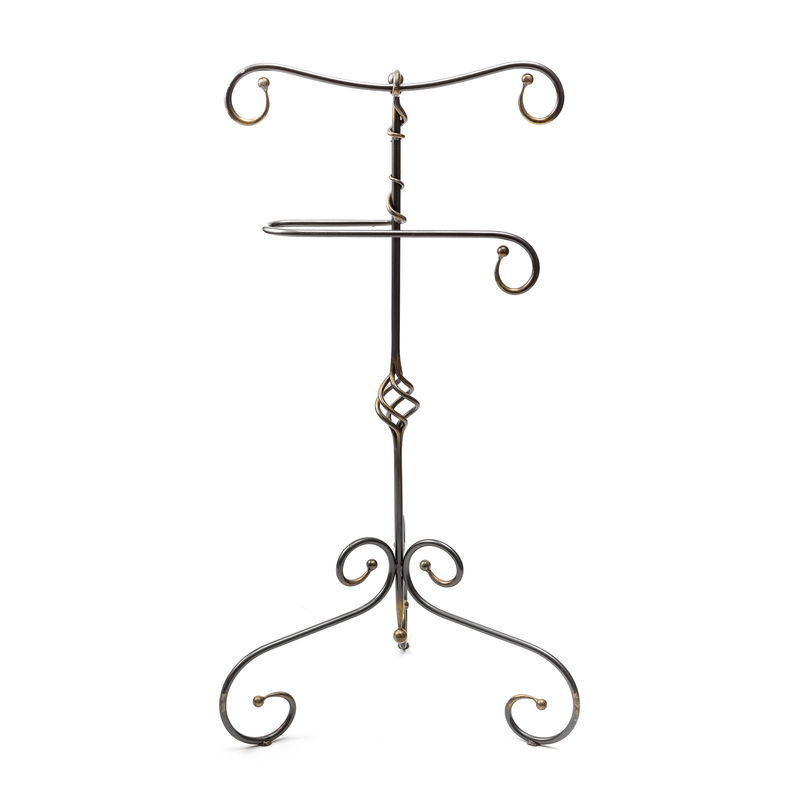 It has clean and natural lines, coils and weaves, the structure of the elegant handcrafted wrought iron clothes-stand, always different in its decorative details. 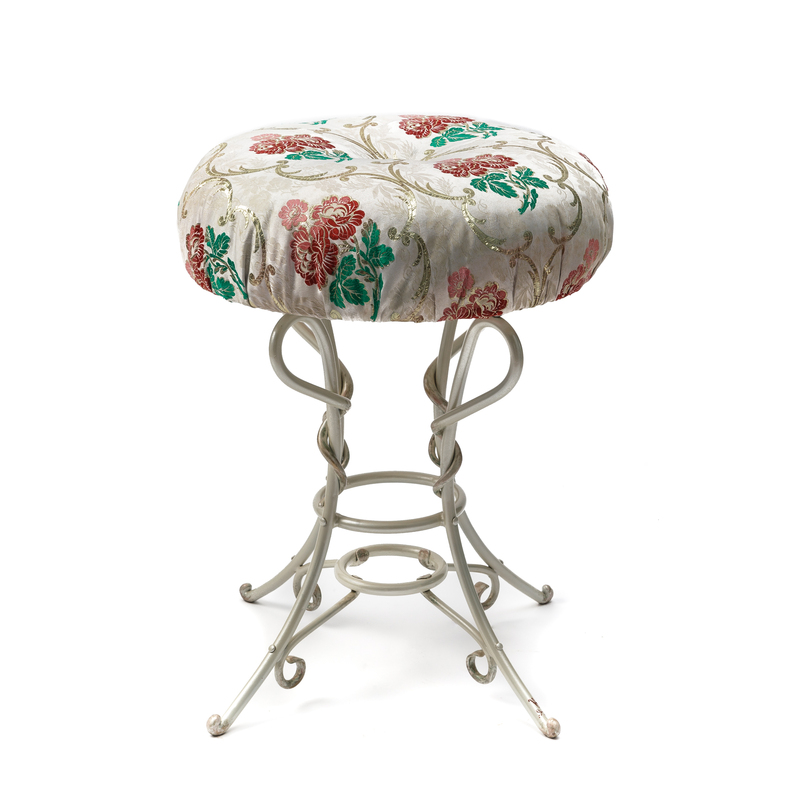 Its natural lines, with coils and twists of enamelled white wrought iron, the sleek high stool with lampas-padded seat, decorated with floral motifs, a reference to the traditional female dress bodices. Stefano Piga, a skilled iron craftsman, began his apprenticeship at the blacksmith workshop at a very young age, when he was just fourteen. From that first experience in 2000, when he opened his workshop, Su Ferreri, experimentation and the investigation into the processing of iron has been boosting his expertise and further training allowed him to acquire new skills as well as to define a personal style inspired by nature, that incorporates a skilful mimicry of floral elements. His production shows the creative process that comes from the synergy with the customer to create highly customized objects, through unique and accurate manufacturing. Over the years, the craftsman has collaborated with local architects and artists for the creation of projects and works of art integrated in the territory. His production is characterized by a skilful touch and the unique expertise that comes from an accurate highly personalized design, created in close collaboration with the client: furnishing accessories made of wrought iron, such as chandeliers, floor and wall lamps, tables, sofas, headboards, as well as railings and other structural elements for interior design, in addition to a wide range of works carried out for outdoor spaces and gardens, such as gates and railings, gazebos, shelters and other functional and decorative elements. At the workshop, the craftsman uses all the techniques necessary fot manual forging, from wrought iron to carved materials. Each item starts with a preliminary project for context analysis to define all aesthetic and functional details.